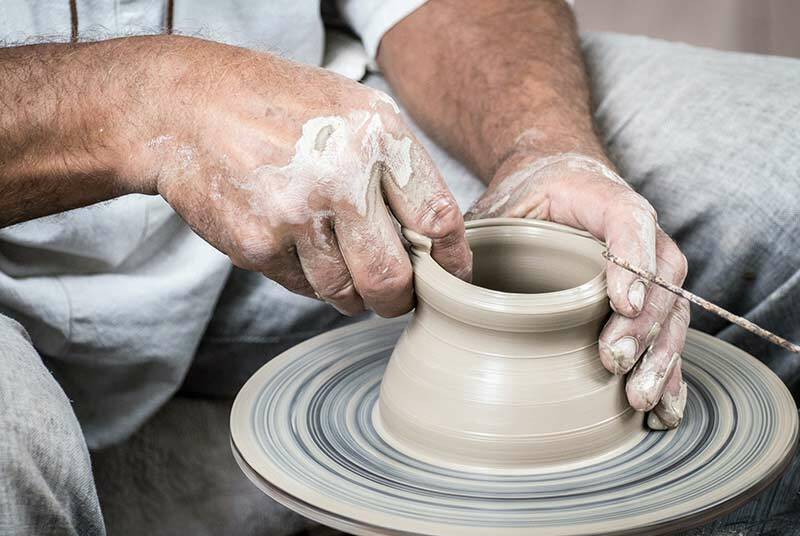 Arlington Ridge offers a fully equipped arts and crafts center that provides facilities for a wide variety of arts and craft projects. Facilities include a ceramics kiln, potters wheel, worktables with pull-down electrical, commercial clean-up sink, and ample shelving for project display and storage. 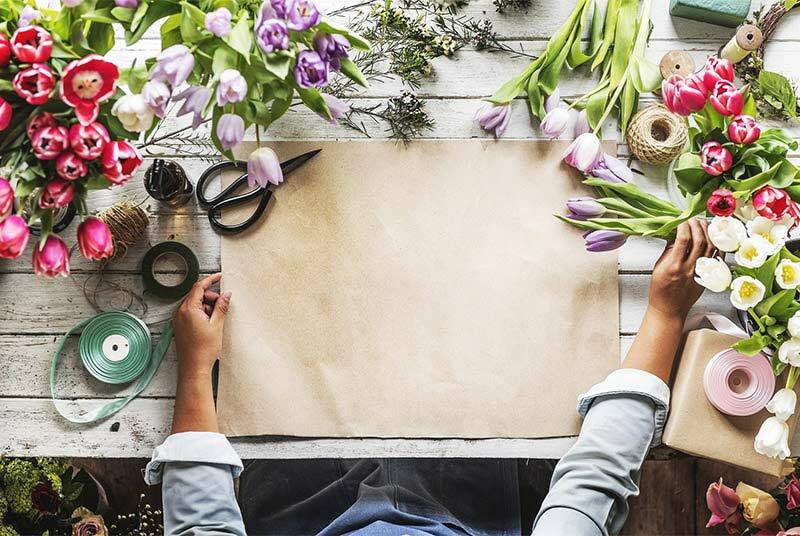 The arts and crafts center hosts both formal classes and resident-organized clubs for many different interests, including watercolors, pottery, scrapbooking, holiday crafts, and drawing. 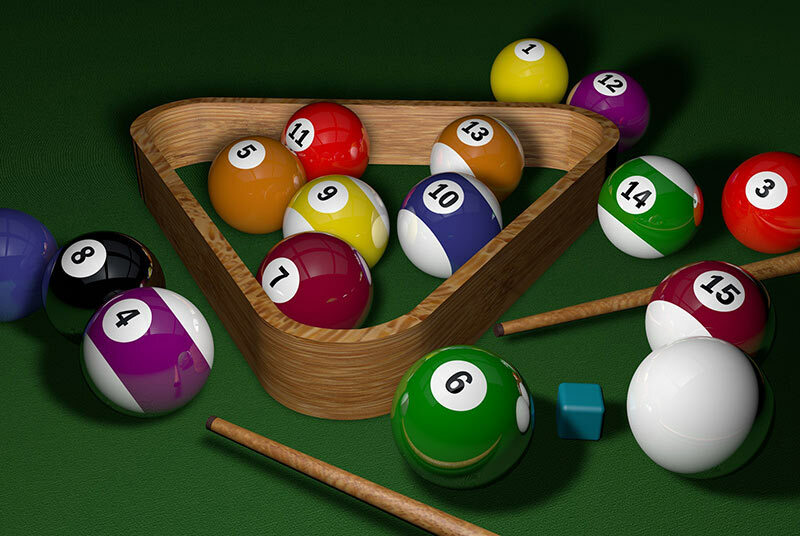 Activities vary during the calendar year and depending on the interests of residents. 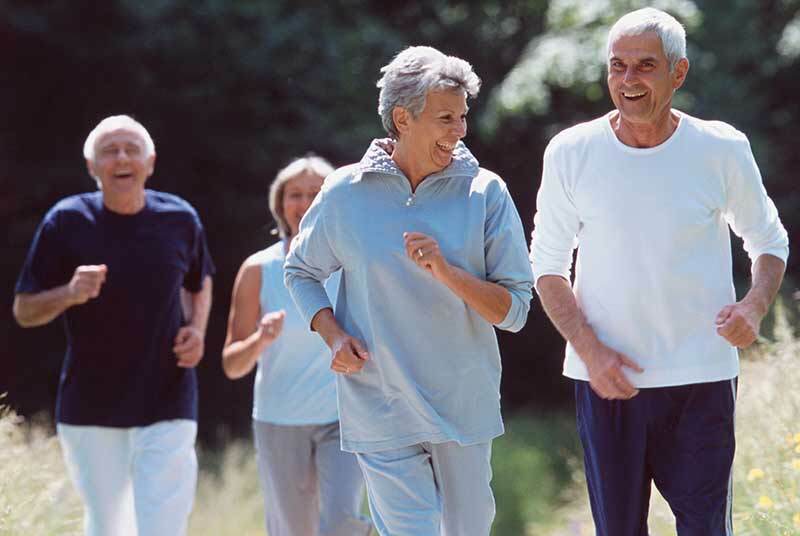 Fitness and wellness are major parts of the Arlington Ridge lifestyle. 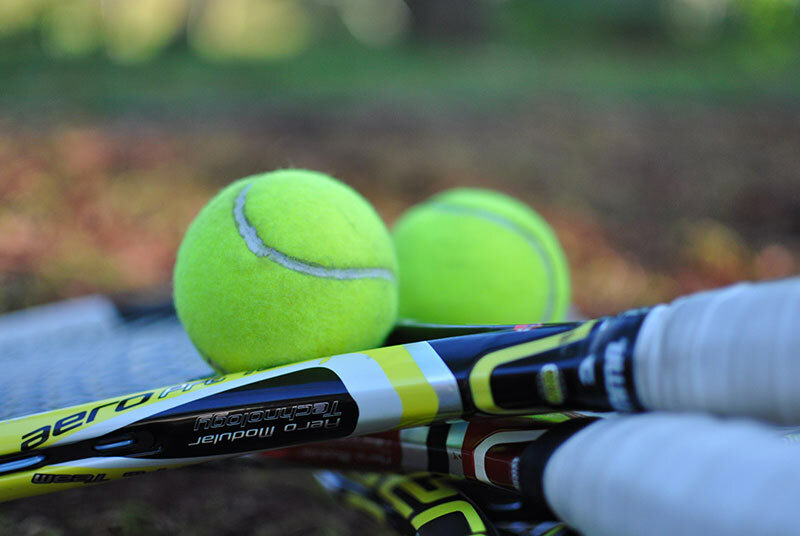 Our Spa and Fitness Center hosts a state-of-the-art workout room with both strength-building and cardiovascular equipment, plus a group fitness room for aerobics, cycling and zumba. 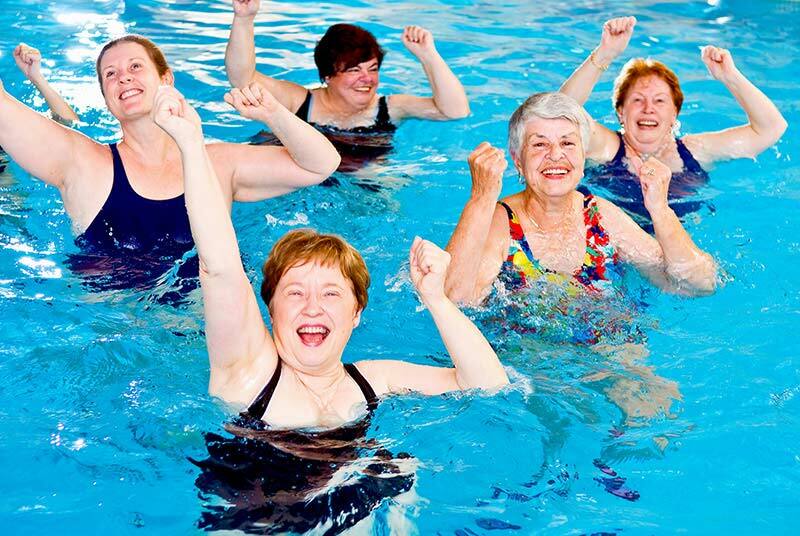 Other facilities include locker rooms with showers and saunas, spa treatment rooms and an outdoor heated fitness pool. 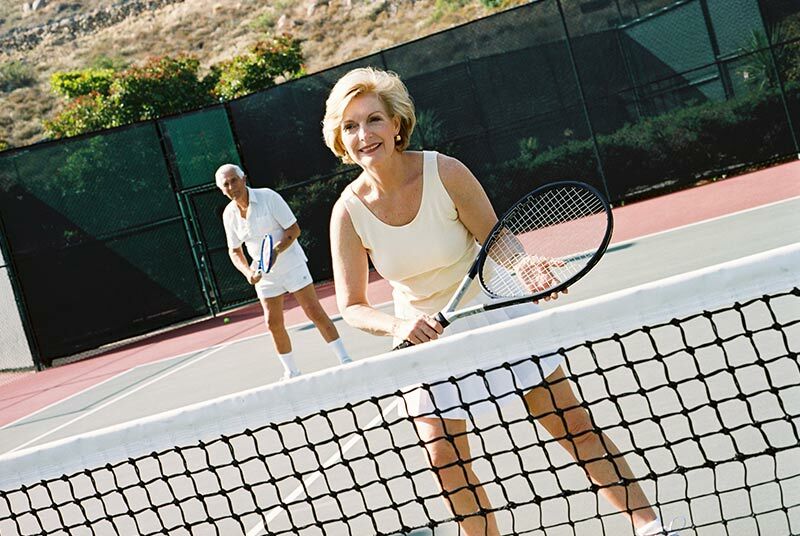 Arlington Ridge features two tennis courts and two pickleball courts for enthusiasts in both sports. Both are lighted for evening play. 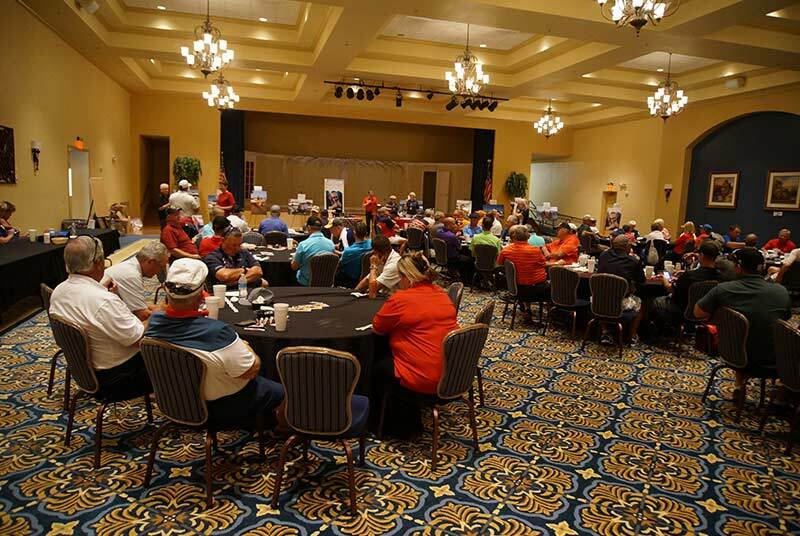 A number of organized leagues and groups are open to residents interested in regular competitive play. Miles of private sidewalks and biking/cart lanes wind throughout the Arlington Ridge community. 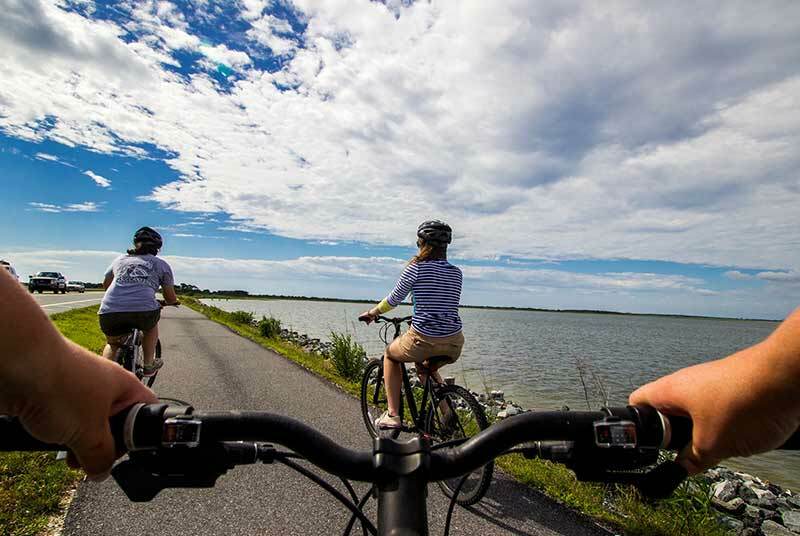 In addition, county-operated Palatlakaha Environmental and Agricultural (PEAR) Reserve, which adjoins the Arlington Ridge community offers has several miles of biking and walking trails to explore, including a unique “birding” trail. 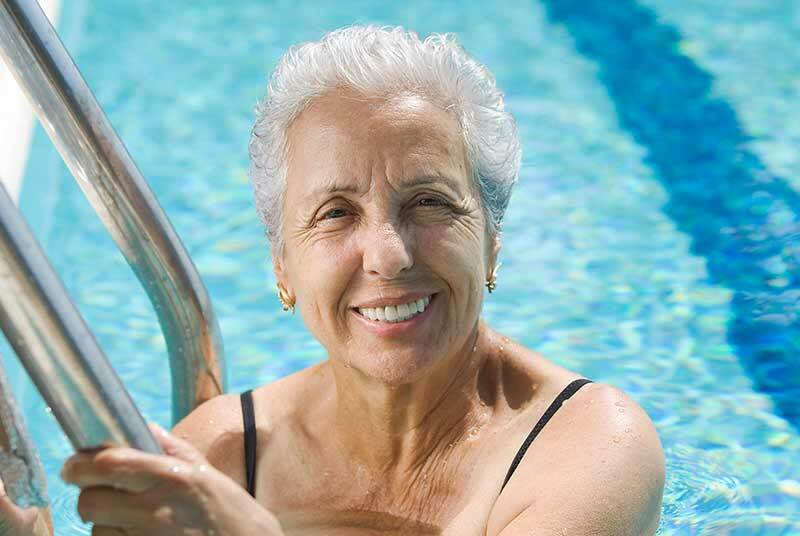 If you love the water, Arlington Ridge has a pool that is perfect for you. 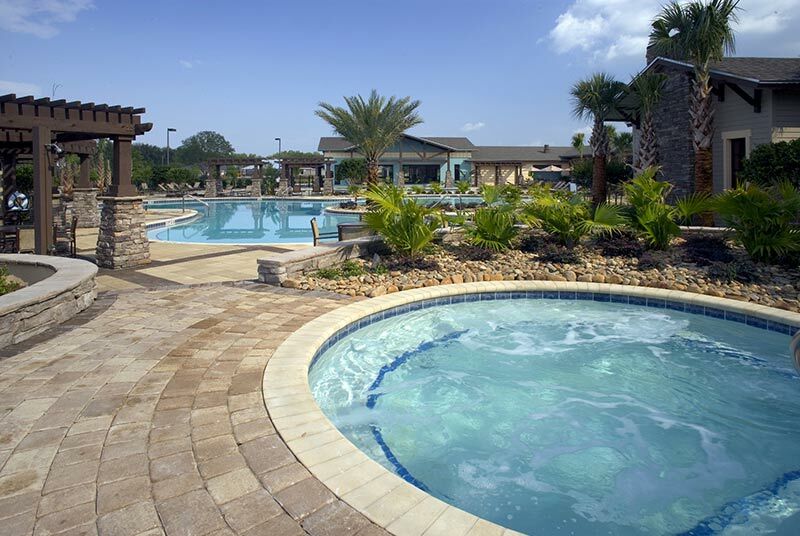 For relaxing and socializing, come lounge at our free-form “resort-style” pool with beach entry. 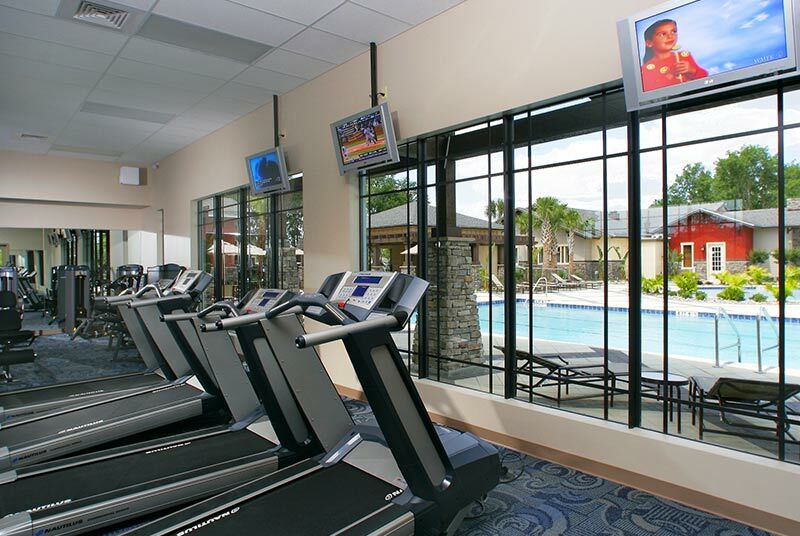 For aerobics, lap swimming, and other “aquacize” activities, visit our heated fitness pool adjacent to the fitness center. And for a muscle-soothing soak after your work-out or just for relaxing, try our over-sized spa with therapy jets. 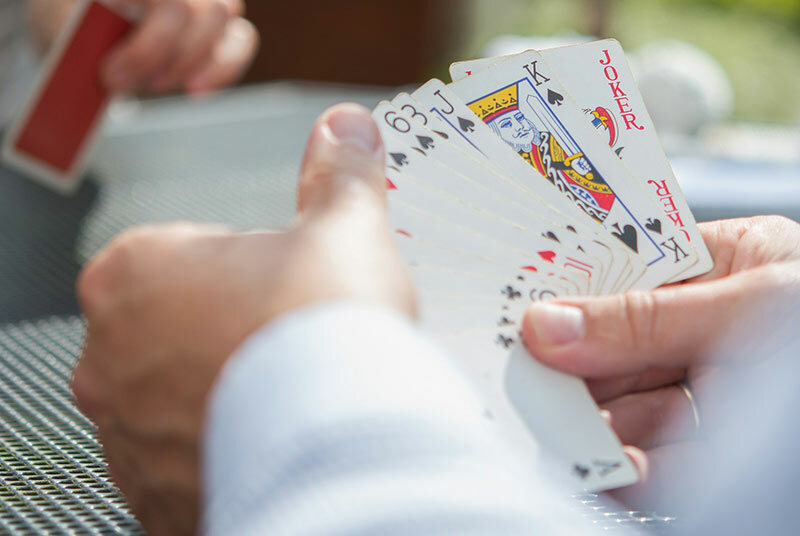 Our Village Card Room is tucked away in a quiet corner of our Residents Activities Center and provides an inviting environment for card aficionados and for other small group activities and meetings. 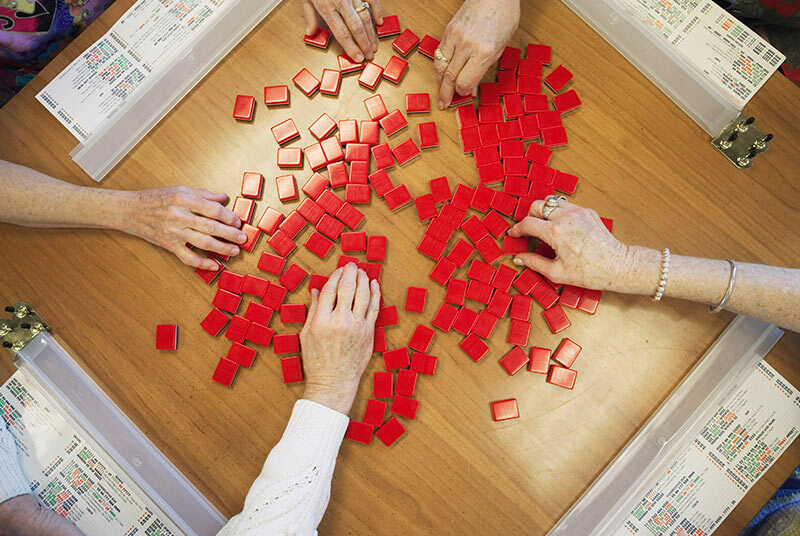 Card clubs include Bridge, Canasta, Hearts and other games, depending on the interests of residents. 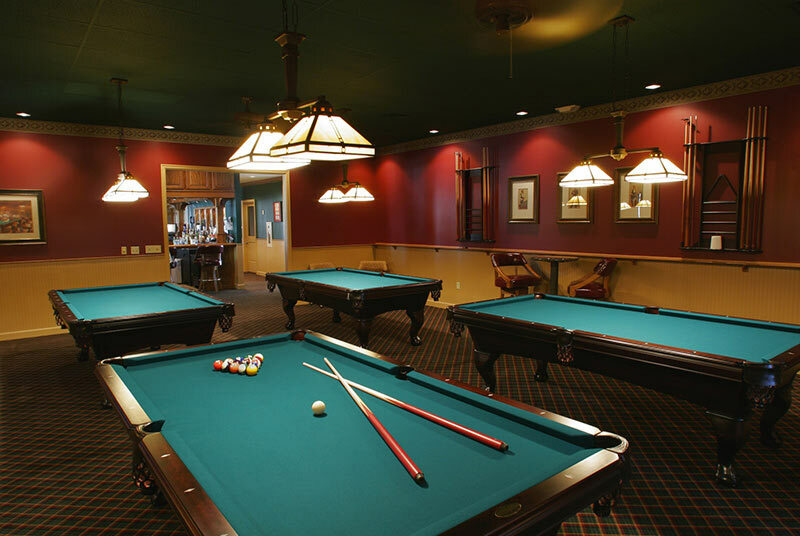 Billiards is one of the most popular activities at Arlington Ridge for both sexes, and our O’Hara’s Billiards Parlor offers the perfect environment for enjoying the game. O’Hara’s has three regulation tables and comfortable seating areas, and is conveniently located adjacent to the Village Tavern so that refreshments are always within easy reach. 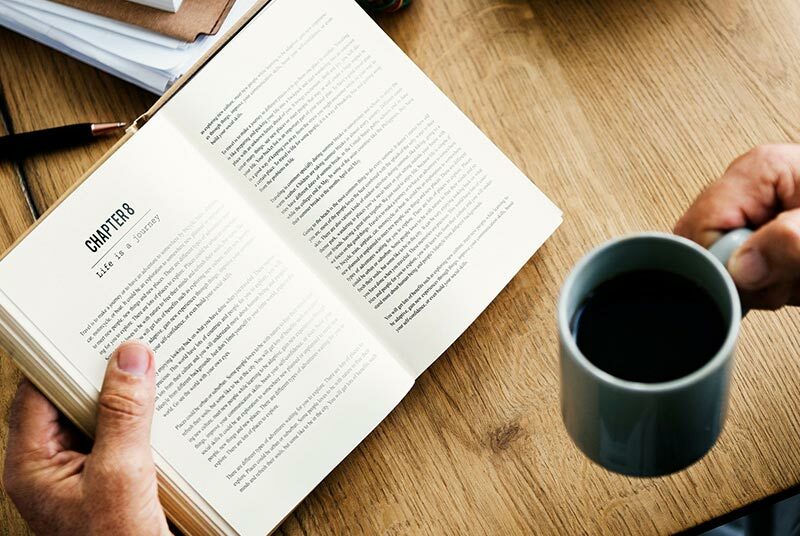 Our Library is a tucked away gem that offers a very comfortable and quiet environment for bibliophiles to enjoy a day of reading. 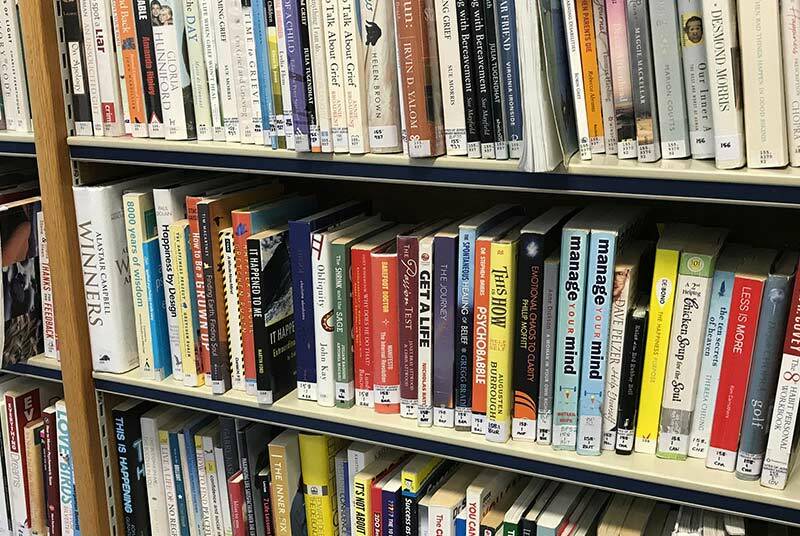 Resident volunteers operate a free lending library that features hundreds of best sellers, romance novels, and how-to and self improvement books for residents to check out and enjoy on an honor system. Fairfax Hall is the center of Arlington Ridge’s growing social programming. 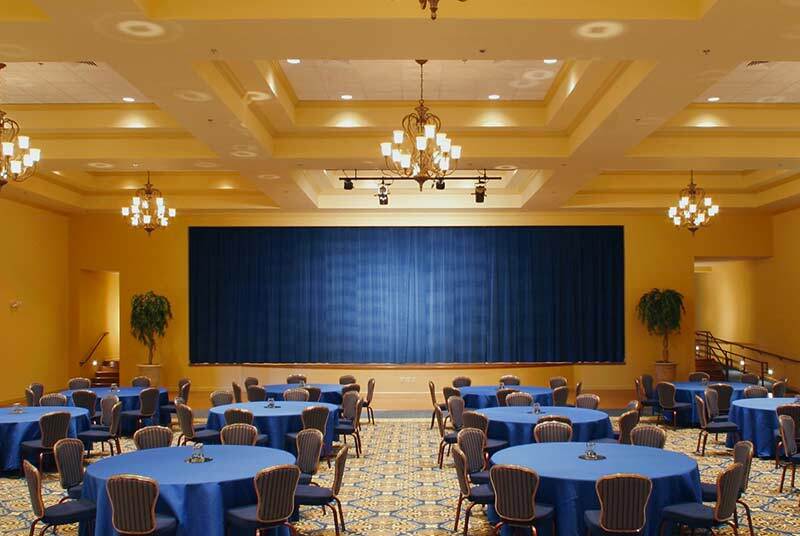 Designed to offer a venue for larger dances and dinners, theatrical performances, special events, and private parties, Fairfax Hall can offer seating for up to 400 people in a variety of configurations. It features a professional stage with lighting and sound, a dance floor, and a full catering kitchen. Recent events in Fairfax Hall have included our annual Residents Luau, performances by our community theatrical group, the Fairfax Players, holiday dinner-dances, and performances by a variety of professional musical groups, comedians and other entertainers. Love going out for a good movie, but hate the expense and inconvenience of traveling to your local mall cinema? Well, if you are a resident of Arlington Ridge, we bring the cinema to you. 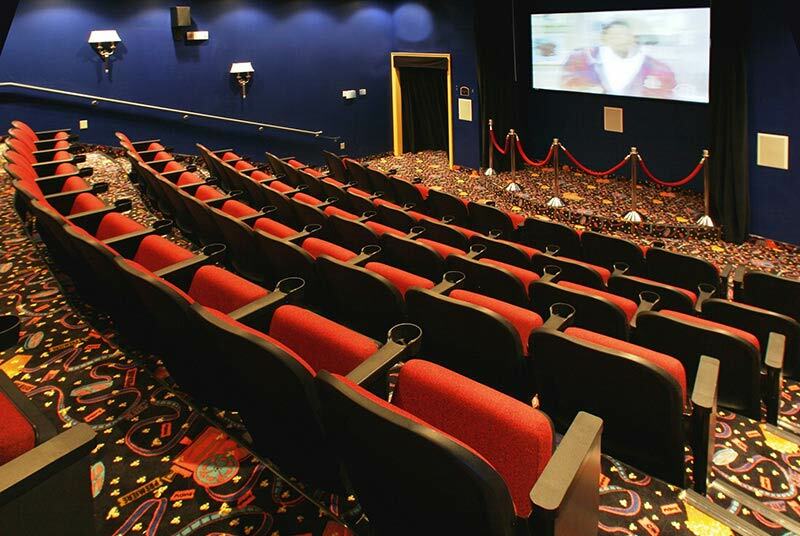 Just take a short stroll from your Arlington Ridge home to the Village Green where you’ll find our own stadium seating theater, with high definition projection and theater quality sound. The community cinema offerings vary throughout the year but usually feature a weekly first run movie, as well as documentaries or specialty series at other times. 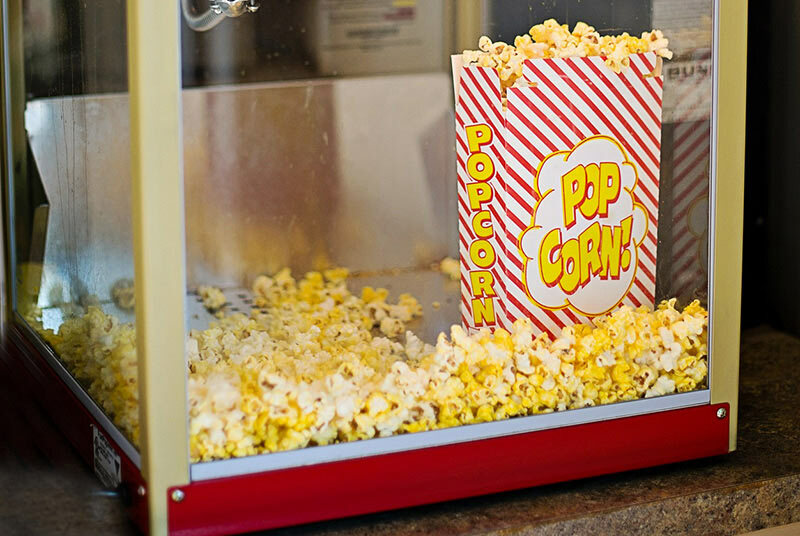 You can even enjoy popcorn from our own old fashioned popcorn cart.